This might be the most niche model ever, so why would Audi build it? Volkswagen has not been having a great year. Because of the Dieselgate scandal, the company has been forced to in order to focus on cars that will help increase sales. VW's woes have affected all of the company's brands, which makes this latest rumor all the more strange. 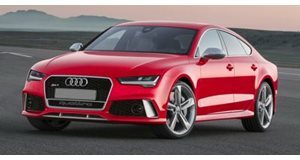 According to German website , Audi is working on an Allroad version of the RS6 Avant. Based on Volkswagen's current predicament, we find it hard to believe that the Audi brand is working on what could be the most niche vehicle we have ever heard of. The Audi RS6 Avant is already a niche vehicle in its current form. There isn't really a huge market for a station wagon with a 560 horsepower 4.0-liter twin turbo V8. That is why Audi doesn't even sell it in the US. 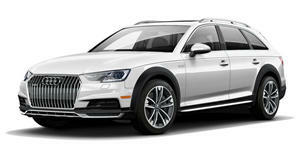 Audi does sell the A4 Allroad in the US, but vehicle. Basically, the A4 Allroad is an A4 Avant with a bit more ground clearance and some body cladding that is reminiscent of a Subaru Outback. The rumors say that demand for an RS6 Allroad would be high in China, where a combination of performance and off-road capability have helped SUVs sell extremely well. We would actually love to see Audi build this, but we know it will never make it to US shores either way.